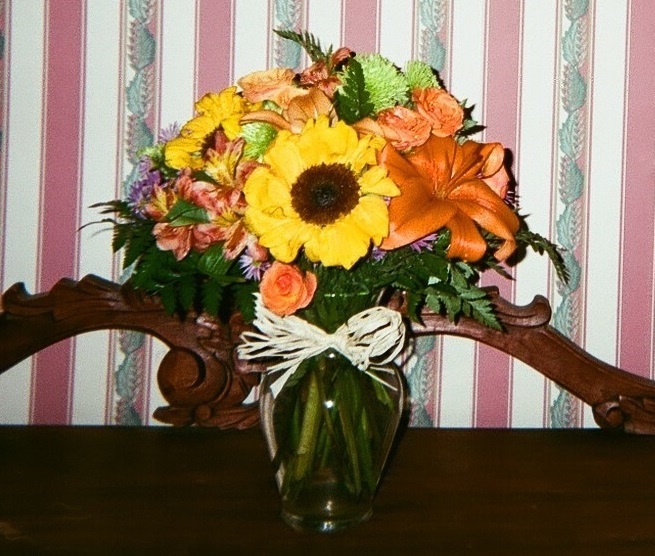 This lovely arrangement of summer flowers is a sure way to please your recipient. 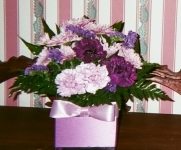 Includes carnations, buttons, one lily stem, two gerbera stems, one stem spray roses, and assorted greens. Red Roses,Star Glazer Lillies in a clear glass vase or basket, great for any occasion or to relate your words through flowers. Includes Larkspur, Purple Liatris, Lavender Roses and Pink Lisianthus. This one sided, beautiful arrangement is great to sit on a desk or counter or on a table. The red roses speak love, love, love. 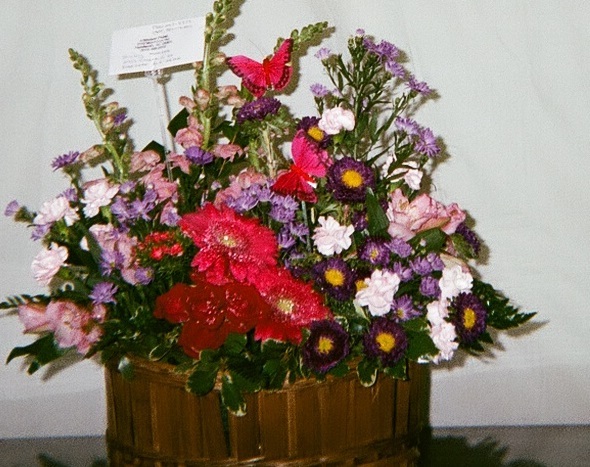 It includes Red Roses, Purple Aster, Orange Gerbera Daisies and assorted greens. Sure to please anyone who receives it. 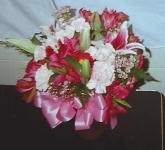 Want your recipient's face to light up as pink and cheerful as this bouquet? 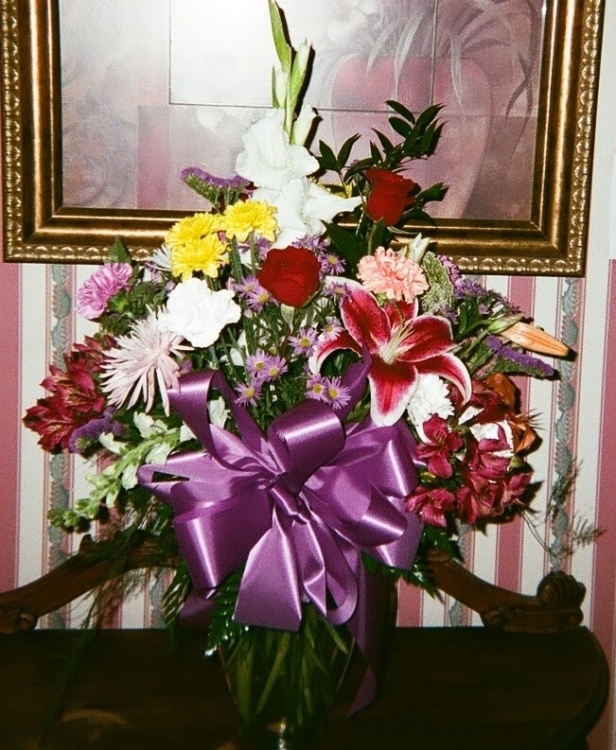 Send them this beautiful HOT PINK BOUQUET! It includes Red Roses, Hot Pink Roses, White Aster, White Larkspur. Send it today!